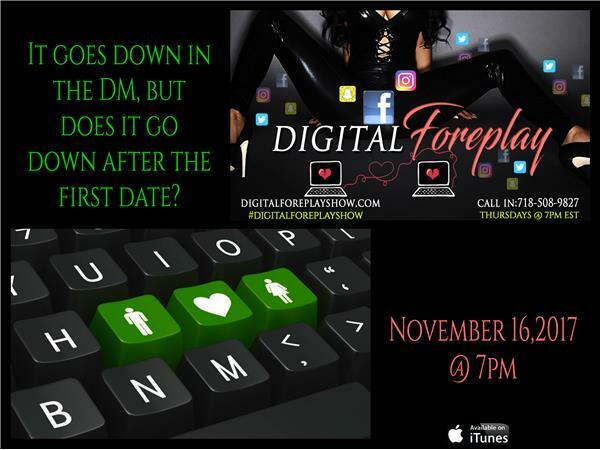 Digital Foreplay: It Goes Down In The DM, But Does It Go Down On The First Date? It starts with a quiet hum, an empty screen inviting you, 'come inside' it says, 'we're always open'. It's a world you think, where actions have no consequence, Where guilt is cloaked by anonymity. Where there are no fingerprints. An invisible universe, filled with strangers interconnected online and disconnected in life. It will steal your secrets, corrupt your dreams, and co-opt your identity. Because in this world, where you can be anything you want. Anyone you want... You just might lose sight of who your are. 11/16/17: It Goes Down In The DM, But Does It Go Down On The First Date?